We pride ourselves on our freshly prepared food which is all sourced from the local butcher (Sweetlands in Great Dunmow), fishmonger and greengrocer. Our specials board changes every week and offers a wide variety of meals to suit every appetite. Traditionally a Huffer used to be half a loaf of bread that the men working on the fields would take each day, stuffed with a selection of fillings. Keeping to the traditions of the local area The Compasses still offer Huffers. Available in the pub for over 20 years, these triangular baps can be filled with a large variety of fresh local ingredients. 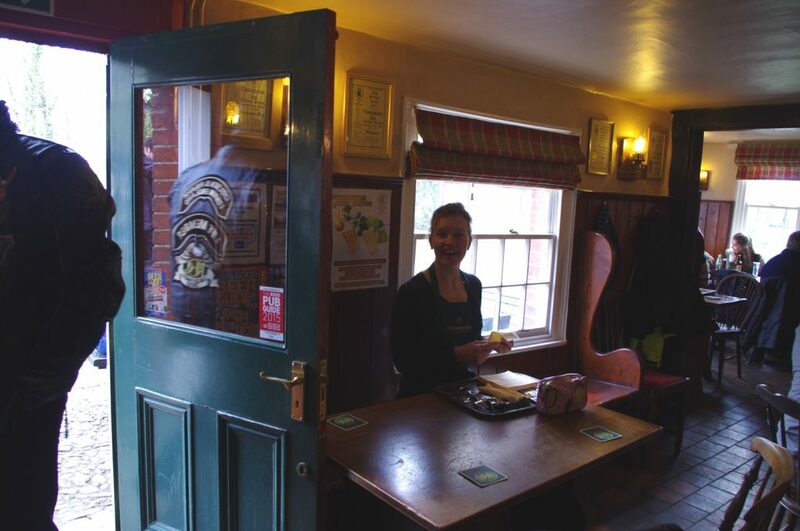 We also offer a selection of traditional pub food. 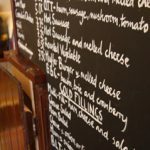 Our blackboard shows a choice of huffers, meat dishes, a fish dish, a poultry dish and vegetarian dish as well as some delicious puddings. An example food we offer on our specials board is Beer Battered Cod & Hand-Cut Chips, Homemade Chicken Liver Pate with Red Onion Chutney & Toast and Chicken Curry with Rice & Poppadom. We offer a wide selection of real ales written on our blackboard which we frequently change but leaving some of the firm favourites all year round. There is always one Essex ale available, usually Bishop Nick (brewed by my brother Nelion Ridley), and Essex Boys (brewed by Crouch Vale brewery). From Monday to Wednesday we offer 3 real ales and from Thursday to Sunday we usually have varied selection of 5 on the board with guest ales from all over the country. On draught, we’re proud to offer Calvors Lager from Coddenham Green in Suffolk, Hogan’s Cider from Alcester in Warwickshire, Bitburger Premium Lager from Bitburg in Germany and of course Guinness, from Dublin in Ireland.